We travel to your home throughout Manhattan, Brooklyn, Queens, Staten Island, and sections of Long Island, such as Nassau County. The hourly rate (rates posted below) includes travel time! Rates vary based on the neighborhood you live in and which reading specialist works with your child. Please note that some literacy specialists might charge slightly higher rates than our average posted rates below. We will quote you on the phone once we learn the specifics regarding the nature and location of your child’s literacy needs. We travel to your home New York City (Manhattan, Brooklyn, Queens, Staten Island), Long Island (Nassau and Suffolk), and sections of New Jersey close to Manhattan. We also provide telepractice or internet online speech therapy. Our rates are posted below. Please note that for insurance purposes, there’s a modifier CPT code, 95, for telepractice support. We DON’T accept the following: in-network insurance (see below for more information), Early Intervention, Board of Ed. (CPSE, CSE, RSA’s), Medicare, etc. Out-of-network means that we don’t accept insurance. You pay us directly on a weekly basis, and we provide you with a monthly out-of-network receipt. It’s your responsibility to submit this invoice to your insurance company for reimbursement- scroll down to read more about insurance reimbursement codes. TRAVEL TIME IS INCLUDED WITH THESE RATES! *Please note that some speech-language specialists might charge slightly higher rates than our average posted rates. Higher rates reserved for our most experienced speech-language therapists such as Susan M. who has over 25 years of experience! We will quote you on the phone once we learn the specifics regarding the nature and location of your speech-language therapy needs. Read more about our professional speech and language assessment services. We are professionals who provide a wide range of evaluations custom tailored to your needs. We are here to answer your questions and to help you better understand your child’s development. If you are concerned, we recommend that you contact us. *An evaluation is not necessary to start with our speech/language and professional learning services. Read more about how to get started. Bilingual evaluations We perform bilingual speech language therapy currently in Spanish, Russian, Japanese, Polish, Korean, Italian, and Swahili. 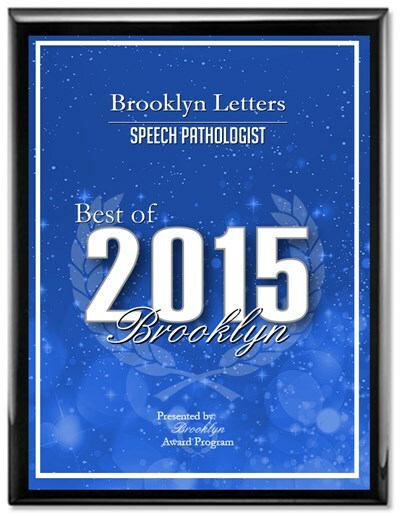 If you are interested in speech language therapy or reading services, please contact Craig 347-394-3485 & info@brooklynletters.com (immediate response). Craig is a licensed speech language therapist and a learning specialist who will fit your child’s learning and scheduling needs with the right Brooklyn Letters professional. Before contacting us, please call your insurance company to find out if you are eligible for out-of-network speech language therapy and/or evaluation reimbursement. Out-of-network means that we don’t accept insurance. If your insurance company requests a predetermination note, please ask your pediatrician. We do not accept insurance payments, but we are considered out-of-network providers: you pay us directly and we don’t coordinate with insurance companies. We provide you with a monthly receipt of paid speech and language therapy services; you submit it to your insurance company for reimbursement. Payment (cash or check) is expected on a weekly basis. We also do not accept Early Intervention, and we do not accept Board of Ed., e.g. RSA’s- see if our services are eligible for flexible spending account reimbursement. 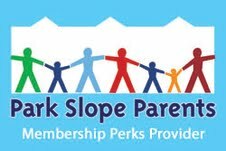 We are team players; we are happy to collaborate with speech language providers and other professionals who work with your child. CPT codes describe the type of service being offering, e.g. one-on-one speech therapy. For out-of-network speech language therapy (not an evaluation), the CPT codes are 92507 for one-on-one speech language therapy services and 92508 for group: the only group therapy we personally provide is for social skills groups. The CPT code for feeding therapy is 92526. CPT code 95 is for telepractice support. 92522- evaluation of speech sound production (articulation, phonological process, apraxia, dysarthria). 92523- evaluation of language expression and comprehension (receptive language) AND evaluation of speech sound production (articulation, phonological process, apraxia, dysarthria). 92521- evaluation of speech fluency (stuttering, cluttering). 92524- behavioral and qualitative analysis of voice and resonance. 95- The American Medical Association (AMA) created a new modifier “95” to reflect synchronous (i.e., real-time) telepractice services, as follows: Synchronous telemedicine service rendered via a real-time interactive audio and video telecommunications system. *More CPT coding information from the American Speech Hearing Association and a helpful ICD-10 coding tool. ICD-10 codes are the diagnostic codes, e.g. expressive language disorder or speech sound disorder, and must come from a written evaluation. ICD-10 codes can come from a licensed therapist or a medical provider, e.g. psychologist, neurologist, speech language therapist, etc. Ask your insurance company for their New York state medical coverage policy for speech language therapy (it will contain a description of their policy and list of ICD-10 codes that are and are not covered for speech language therapy). Speech language therapy is a medical necessity (read page 9) (don’t let the insurance company tell you otherwise), when there is a significant speech language delay and/or issue. Many insurance companies reimburse for out-of-network speech language therapy when there is a significant speech-language delay for children under 36 months, once you meet your deductible. Ask your insurance company if they have a New York State Speech Therapy and Early Intervention Program (birth to three years old); here’s an example. If your child has a diagnosis of apraxia of speech etc. from a neurologist, here’s more info. on insurance reimbursement.